Chelsea graduated from George Brown College in 2011 from the Dental Administration program. As Office Manager her job is to oversee the office operations and she is committed to making sure our patients have a positive experience! 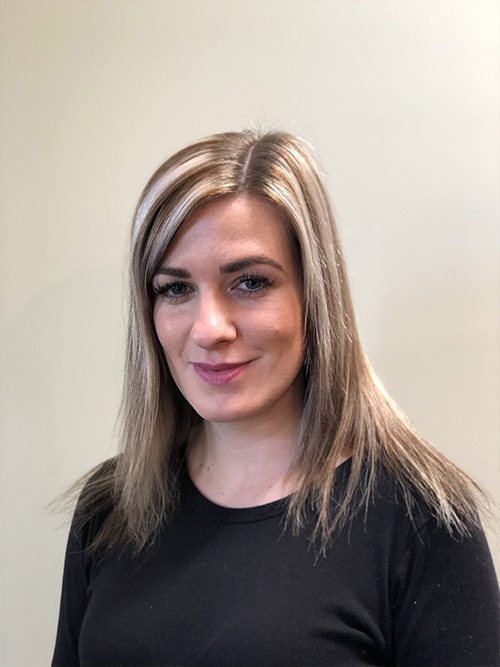 Chelsea currently lives in Oakville and in her free time enjoys going to the cottage, cooking and spending time with her spouse Branden & their Australian Shepherd, Indigo. Michaela originally moved from Slovakia with her family in 2003. She graduated in 2008 from Saint Clair College in Windsor. After finishing her studies she decided to move back to Europe and travel. When Michalea came back to Canada she was interested in the dental field and decided to purse that career. 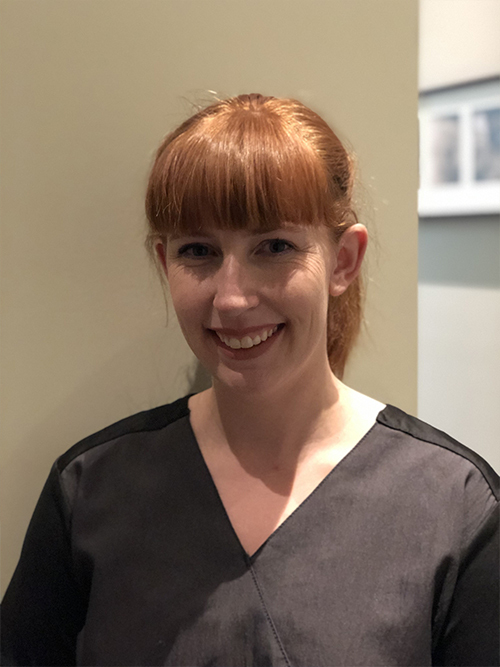 Michaela is very personable and as our treatment coordinator will help with any scheduling needs! She really enjoys skiing, traveling, studying different languages, spending time with her family and friends. She is also fluent in Slovak, Czech, and Polish. 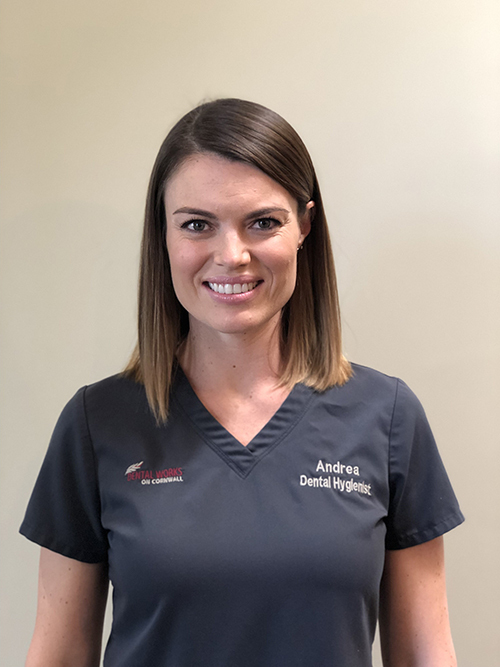 Andrea is a 2004 graduate of the Canadian Institute of Dental Hygiene in Hamilton ON. 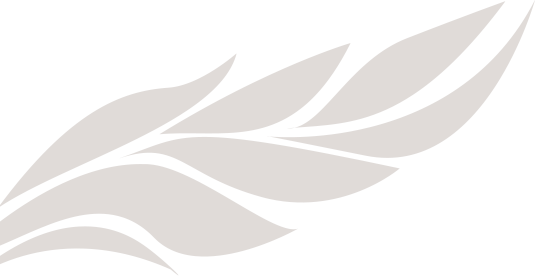 Since 2006, she has been providing hygiene care in the Oakville area. 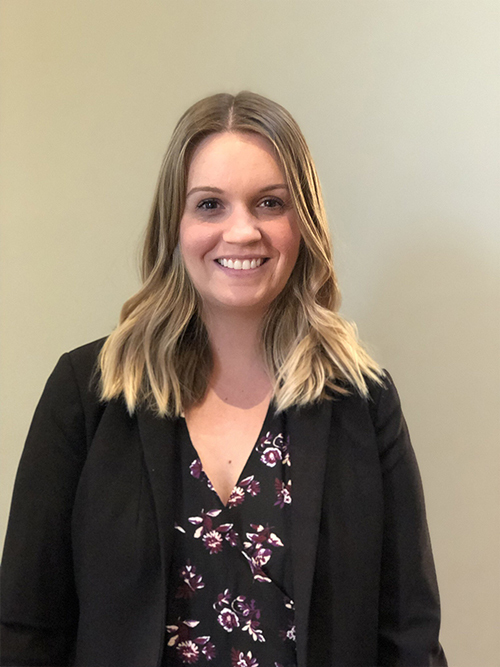 Andrea’s calm and friendly demeanor, attention to detail and enthusiasm to maintain high and current standards in the profession make her a valuable team member. She was born and raised in Burlington ON, and currently lives there with her husband and two children. When she's not working she enjoys spending time with her family, sewing, playing hockey and baking! Farida graduated from Niagara College with a Golden Scalar award in 2010. She has also received her dental assistant certificate from George brown College in 2008. 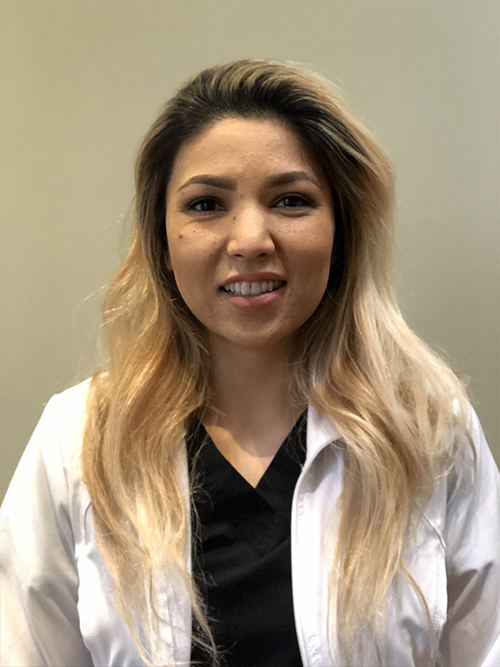 She is passionate about her career in dental hygiene and is currently attending University of Toronto to get her Degree in Bachelor of Science. 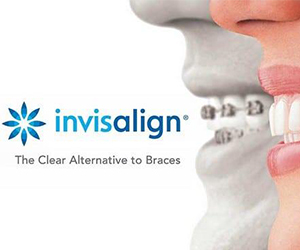 She believes that excellent oral health is associated with overall health and wellness. She cares about her patients and their concerns. In her spare time, Farida loves staying active by boxing and weight training. She also enjoys reading books and cooking. Rosa has completed her studies at the George Brown College, with honours. 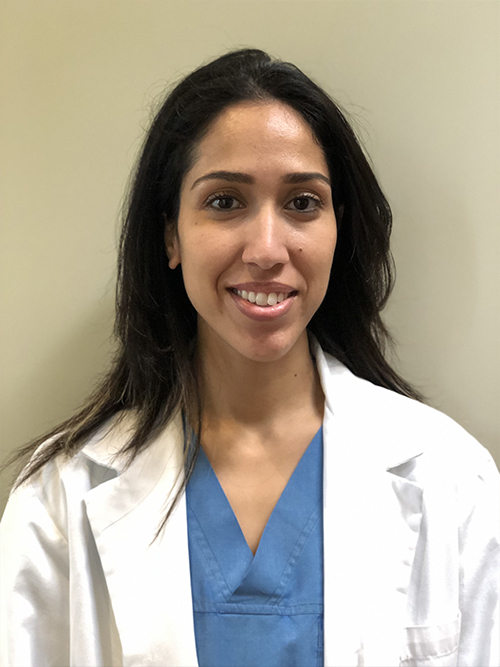 Rosa strives to provide each patient with comprehensive care and believes that the highest reward is to bring a smile to each member of the Dental Works community. In addition, with a colorful background in the arts, Rosa also enjoys looking at life from a holistic view. This mother of one also enjoys reading, playing sports, and baking. Vikki has been a part of the Dental Works on Cornwall team since 2012. She studied dental assisting at George Brown College where she graduated with honours. Since then she has taken many courses alongside Dr. Piracha. She is married to her husband Bryan, whom she has two children with named April and Colton. In her free time Vikki enjoys running, playing hockey, knitting and spending quality time with family and friends. She is passionate about her work and enjoys taking care of others.